Snakes… most people either love ’em or hate ’em, but no matter how you feel, they are a vital part of our ecosystems. 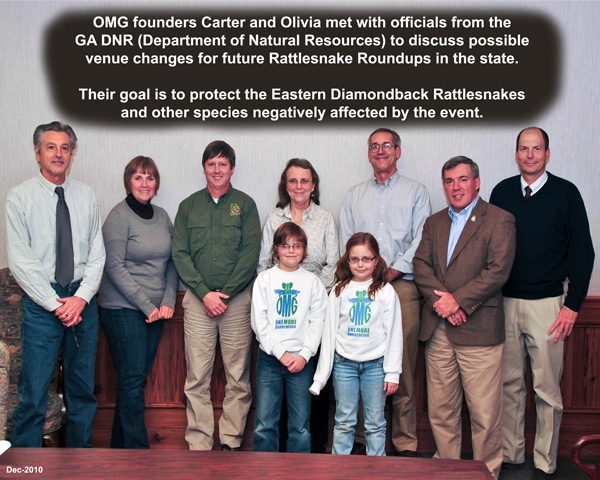 Since starting OMG, our two young founders Olivia and Carter have been working very hard to help effect change in the world of Rattlesnake Roundups. The Claxton Chamber of Commerce and all their Board Members need to be commended for their recent decision to change their Rattlesnake Roundup to the Claxton Rattlesnake and Wildlife Festival. 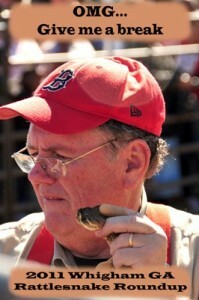 Committee President Bruce Purcell played a pivotal role in the committee’s decision to move forward with the change, which will inevitably save hundreds and even thousands of snakes from being caught and killed. One More Generation first began trying to effect change at these roundups back in 2010 when we first heard about the events from the folks at the Center for Biological Diversity. They introduced us to one of the world’s foremost experts on the Eastern Diamondback Rattlesnakes, Dr. Bruce Means who heads up the Coastal Plains Institute and Land Conservancy. He is also part of a local organization called P.A.L.S. (Protect All Living Species), which lobbies on behalf of all living species. Since we just began our organization in Jan 2010, tackling the Rattlesnake Roundups was actually our first initiative. 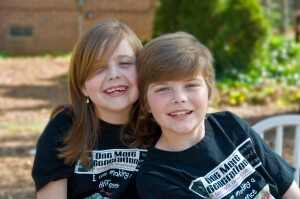 Carter and Olivia set out by seeking support from locals at every event we hosted or attended. We wanted to show the two communities who were still hosting the events in Georgia, Claxton and Whigham, that we were not alone in our desire to encourage them to change them to educational events where no animal/snake would be harmed. The process was very slow and often very controversial. We found ourselves faced with many folks who actually disliked snakes and really did not care if they were saved or not. So we educated ourselves on the issue and learned from the folks at the Center of Biological Diversity and other specialists such as Dr. Means. They helped us understand why the roundups were bad not only for the snakes, but also for hundreds of other species who share the shelter of Gopher tortoise burrows. We learned that a common practice for snake hunters was to pour or spray gasoline into the burrows to drive out the snakes, thus risking countless other species including the tortoises, not to mention the harm this does to the environment. Fortunately, Olivia and Carter had listened closely to the facts, so they were usually able to educate those who originally did not care. This resulted in support for their petition to help convert the roundups to festivals. Before we knew it, the kids had collected over 1,200 signatures! 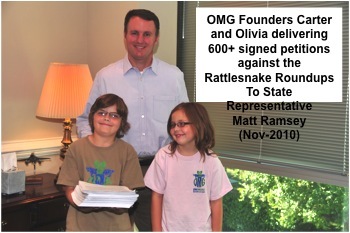 Armed with this success, Olivia and Carter set up several meetings with our local State Representative Matt Ramsey asking him to share our efforts with our Governor. The next step was to further partner with like-minded organizations such as P.A.L.S the CBD and with members of Zoo Atlanta in an effort to request meetings with the organizers of the roundups in both Claxton GA and Whigham, along with key members at the GA DNR (Department of Natural Resources). At first, we got no response, but after months of persistence on everyone’s part, we started to have constructive dialogue with the DNR. This ultimately led to a meeting at the DNR HQ where we were given the opportunity to express our concerns. Next we attempted to contact organizers of the roundups to see if they would agree to meet with us. Unfortunately those requests went unanswered. We decided to drive down to Whigham, GA and attend the Rattlesnake Roundup, so that if we someday had a chance to meet with the organizers, we could speak from firsthand experience. You can read about our visit here. OMG Visits Roundup. After attending the event, we were all even more convinced that we needed to try and effect change at these events. After all, the folks at Fitzgerald, GA, voluntarily made the switch from a roundup to a festival years earlier, and they were now even more successful than before. We continued to contact both communities, but to no avail. Months passed, and still no response. Then back in late 2010, I got my first returned phone call from the current President of the Evans County Wildlife Club – Bruce Purcell. Bruce was a little standoffish at first, as I am sure he expected to be confronted by a group of close-minded individuals bent on imposing their way of thinking. As he learned that we were reasonable and that we had our two young founders involved, he relaxed and allowed us to start constructive dialogue. Bruce expressed his concerns. He advised us that the Evans County Wildlife Club is a non-profit, volunteer driven organization. The Club boasts 75 members led by a board of directors and slate of officers. Since it’s inception, the Wildlife Club has actively given to the Claxton-Evans County community through annual donations to local charities, schools, and other non-profit organizations. Each year the Club awards college scholarships to graduating high school seniors. 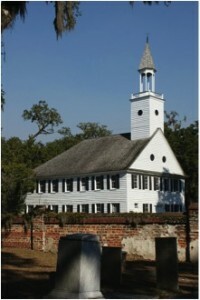 An annual essay contest is sponsored through the school system. During Roundup Week, Club members give wildlife education presentations. Then each spring, the Club sponsors a fishing rodeo and Georgia Hunter Education programs. the community. Any suggestion to change the venue of the events would have to continue the revenue and interest from potential visitors far and wide. Bruce listened to our concerns and assured us that he would look into the matter and discuss it with the Claxton Chamber of Commerce and the Evens County Wildlife Club. This was the first time since we embarked on this venture that we seemed to have someone within these communities who was being open-minded about our concerns. From then on, we continued to have open and productive conversations with Bruce on a weekly basis. Bruce told us his concerns and those of his club, and we all listened intently and attempted to address each one as we could. Bruce took our suggestions back to the club, and they too remained open-minded and looked for ways to help find common ground. Little by little the Wildlife Club started to offer potential changes to their roundups which would ultimately show their sincere desire to effect change for the good of the wildlife. Then in early Dec, Bruce announced that the Wildlife Club had agreed to change the name of the event from the Claxton Rattlesnake Roundup, to the Claxton Rattlesnake and Wildlife Festival. He was still facing some opposition within the Club, but the majority of the members were starting to come around. He was working with several folks at the GA DNR who might be able to help him. He would let us know what they ultimately decided. As we started off the New Year ready to get back in the swing of things, Bruce called to advise us that the Evans County Wildlife Club agreed to replace its rattlesnake roundup with a wildlife festival that does not involve the killing of snakes. The wildlife festival will continue to generate revenue for the local community without harming the imperiled eastern diamondback rattlesnakes. 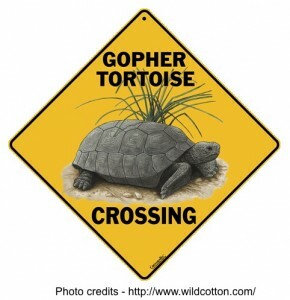 This means gopher tortoise burrows will not be gassed and prodded, disturbing the many species that find shelter there. The declining rattlesnakes will not be captured and killed. The Claxton leaders are accepting support from many concerned citizens, and groups in transforming their festival to one that is life affirming and which celebrates the species. They will have many snakes on loan from licensed conservationists as well as many more varied educational exhibits. I encourage you to contact Bruce Purcell and offer support for his work to change the event to the “Claxton Rattlesnake and Wildlife Festival”. The Claxton Rattlesnake and Wildlife Festival, sponsored by the Evans County Wildlife Club is held annually on the second weekend of March. The Rattlesnake and Wildlife Festival is a two-day festival, attracting 15,000 visitors. The event features snake educational programs, wildlife exhibits, turkey calling contest, over 100 arts and crafts vendors, food vendors, a grand parade, beauty queens, essay contest, 1 mile fun run, 5-K run, live entertainment, children’s games and activities and fun for all ages! Festival hours are 8:00 a.m. until 6:00 p.m. on Saturday, and 10:00 a.m. until 5:00 p.m. on Sunday. Admission to the festival is $5, free to age 5 and under. Please also send out as many invitations to participate in the event so they can show other communities that making such a decision is the right thing to do. And as our friends from the CBD recently wrote: We all urge the sponsors of the annual rattlesnake roundup in Whigham to stop incentivizing the capture and killing of imperiled snakes. Rattlesnake roundups are depleting populations of eastern diamondback rattlesnakes: Analysis of data from four roundups in the southeastern United States shows a steady decline in the weights of prize-winning eastern diamondbacks and the number collected. This once-common species is being pushed toward extinction not only by hunting pressure but also by habitat loss and road mortality. Scientific studies over the past decade have documented range-wide population declines and significant range contractions, which is why we filed a petition to protect the eastern diamondback rattlesnake under the Endangered Species Act. We again wish to thank Bruce Purcell and the entire Evans County Wildlife Club for making the change to their longstanding event. We know it was a difficult decision but it just proves that with the right amount of education, and ample support from like-minded individuals and organizations, “Anything Is Possible“. On behalf of everyone at OMG (especially Olivia and Carter), and all the other great folks we had the opportunity to work with who helped make this happen, we say THANKS!!! Hurray for snakes and gopher tortoises!